Bidding closes at midday Sunday at the MLB.com Auction for this Florida Marlins car, and someone’s going to drive away with an awesome conversation piece. 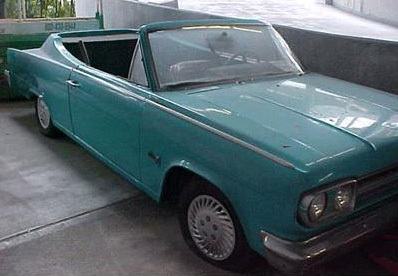 This is a 1966 AMC Marlin fastback sedan that was actually used by mascot Billy the Marlin during the club’s 1997 world championship season. 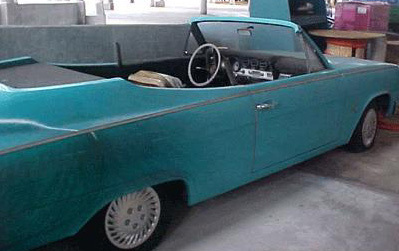 The one-of-a-kind car was transformed into a convertible for all fans to see Billy as he cruised around during parades and on-field ceremonies at Dolphins Stadium. All of the seats have been removed except for the driver?s side, and it’s "as is." The bid page says: "It does need work to operate but is a great memory from early Marlins history." Hey, Raymond, are you bidding?